The 2018 Pacific Northwest Ballet premiere of Jerome Robbins’ Other Dances is generously underwritten by Marcella McCaffray. Notes courtesy of the Robbins Rights Trust. Isabelle Guérin grew up in Rambouillet, France, and studied ballet at its École de Danse. She continued her studies under Christiane Vaussard at the Conservatoire de Paris, where she won the first prize in 1977, allowing her to complete her studies at the Paris Opera Ballet School. She joined the Paris Opera Ballet the following year. In 1985, she received the title of Danseuse Étoile from Rudolf Nureyev. Ms. Guérin danced an extensive repertory of leading roles, including full-length repertory ballets and heritage works as well as new works by foremost choreographers, among them William Forsythe and Angelin Preljocaj. She danced the role of Nikiya in the premiere of Nureyev’s production of La Bayadère in 1992. During the 1996-1997 season, she performed as a guest artist with New York City Ballet. Ms. Guérin retired from Paris Opera Ballet in 2001 and since then has been a private ballet teacher, repetiteur, and coach for dancers and dance companies in the world. Mark Salman performs regularly as a concerto soloist with Northwest orchestras, having performed more than 30 different concertos. He has performed Beethoven’s 32 piano sonatas on both coasts and in 16 KING-FM broadcasts. His performances include his debut at the Newport Music Festival and multiple recital series and recordings featuring the music of Liszt, Schubert, Beethoven, and Chopin. He was a co-founder of the Delmarva Piano Festival and is currently on the faculty of the Seattle Conservatory of Music. Mr. Salman is a Steinway artist. 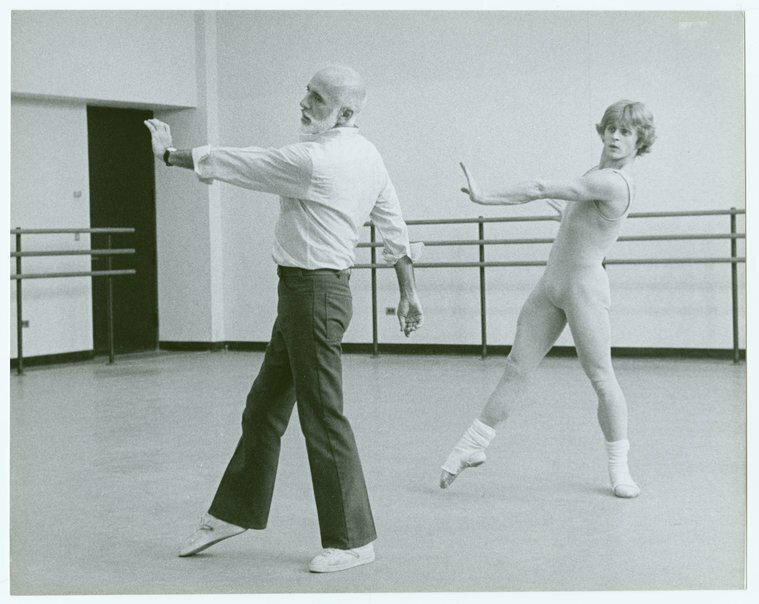 Jerome Robbins rehearsing Other Dances with Mikhail Baryshnikov. Photo © Mary Swope.